Some of the biggest news in regional casino gambling has come in the form of Boyd Gaming’s announcement it will be buying Pennsylvania’s Valley Forge Casino Resort, while also expressing an interest in four of Pinnacle Entertainment’s properties, which are subject to takeover by Penn National. This move takes the company one step closer to becoming the top name in non-Atlantic City or Vegas Strip casinos, and it is exciting news for the regional gambling industry, which appears to be moving from strength to strength. Although Las Vegas may be the ultimate American gaming spot, it casts a shadow over smaller regional operators who are able to grow out of the limelight and undisturbed. Despite the fact that properties, such as Caesars Entertainment, Wynn Resorts, MGM Resorts and Las Vegas Sands, operate regional properties away from the Boardwalk and The Strip, the majority of their gaming revenues are derived from these marquee destinations. However, Eldorado Resorts, Penn National, and Boyd all make their income from serving the gambling needs of other areas. Of these, Boyd is the largest in terms of its market capitalization, although Penn produces larger revenues. 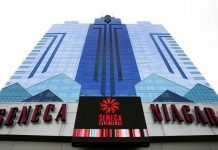 The supremacy of Penn National will continue after it acquires Pinnacle; the takeover will give the company 41 properties in 20 jurisdictions, as well as 8,300 hotel rooms, 1,300 gaming tables, and around 53,000 slots. Not every player is able to enjoy the bright lights, glitz, and glamor of The Strip and Boardwalk resorts. But, his or her desire to place wagers and play his or her favorite games still means that the demand for regional casino operators is as strong as ever. As part of the takeover transaction, Boyd Gaming is set to buy four casinos from Gaming & Leisure Properties – Cincinnati’s Belterra Park, Indiana’s Belterra Casino Resort, Ameristar Kansas City and Ameristar St Charles, both in Missouri. The quartet of properties will set Boyd back the sum of $575 million. However, for its money, it will be diversifying its geography while exponentially expanding its customer base. At present, the company operates and owns 24 properties across Mississippi, Louisiana, Kansas, Iowa, Indiana, Illinois, and Nevada. The benefit of this approach means that if a single region takes a gambling downturn, the other regions can sustain the loss. Boyd Gaming has seen a revenue increase of 10 percent over the last year, boosted by its previous acquisitions. 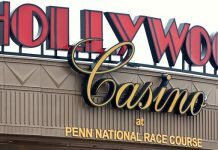 Penn National’s revenues are only 3 percent higher during the same period, and Eldorado saw its revenues dropping by 1 percent after the year’s hurricanes. However, since its acquisition of Isle of Capri Casinos, a growth spurt appears imminent. Boyd Gaming’s $280.5 million purchase of the Valley Forge Casino Resort buys the company into Pennsylvania’s gambling market, and the expectation is that the purchase will immediately credit to the firm’s earnings. This is good news, since Moody’s, the rating agency, has expressed concerns that the casino operator’s spending spree could lead to Boyd’s inability to maintain its higher rating with a debt to EBITDA ratio that is under 5.25 times. However, Moody’s also admits that the company’s casino acquisitions are likely to be beneficial in the long run because of the geographic diversification benefits it will bring the operator. Boyd Gaming’s shares have risen by 76 percent over the last year, so it seems as if the regional player is certainly on a winning streak that looks to continue, certainly in the near future as local punters demand their gambling needs are met closer to home.